Zamalek look well-equipped to win the Egyptian Premier League title but any remaining doubts over their credentials will be dispelled should they beat the big-spending Pyramids FC on Thursday. The runaway leaders will face one of their sternest tests this season yet, with Pyramids making a host of January signings as they aim to challenge Zamalek all the way. Pyramids, owned by wealthy Saudi official Turki Al-Sheikh, splashed the cash on seven winter acquisitions, including Ecuador striker Jhon Cifuente, Syria frontman Omar Kharbin, Burkinabe winger Eric Traore and Peru midfielder Cristian Benavente. But how fast could they gel into the team remains to be seen as Pyramids still look inconsistent in terms of results. 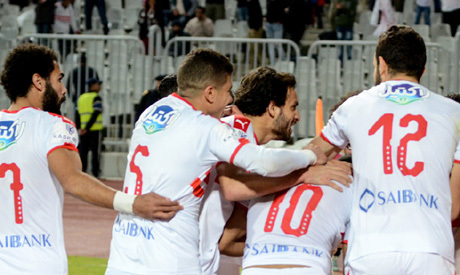 They lie second in the league table with 38 points, three behind Zamalek who have three matches in hand. Defending champions Ahly are fourth on 27 points but they will leapfrog Pyramids into second place if they win their rescheduled games. "I will not be satisfied with less than three goals against Zamalek," Al-Sheikh quipped in a social media post. Zamalek are on an impressive run of nine consecutive wins but they will have to do without two of their key players against Pyramids, with first-choice keeper Mahmoud Gennesh and deep-lying forward Youssef Ibrahim suspended for incurring three yellow cards. However, they will have their only January signing, Morocco striker Khalid Boutaib, available in the top-of-the-table clash.